The most eagerly-awaited sequel in comics begins! Three years after the events in THE DARK KNIGHT RETURNS, Batman knows the world is nowhere near the perfect little place it pretends to be, and he sees the cracks in the system that have been neatly covered up. 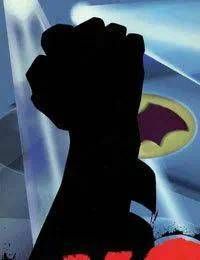 Its time to find where all the heroes have gone, and the Dark Knight is the right man for the job.